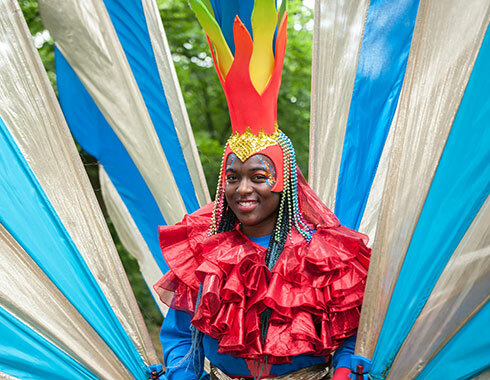 Sheffield Carnival made a stand-alone comeback at Norfolk Heritage Park last weekend and it was one of the best if not the best Sheffield event seen by the thousands of people that attended. The free family-friendly inclusive event that featured in last years Sheffield Fayre was created with the help of hundreds of cross-generational volunteers and participants from children to pensioners. 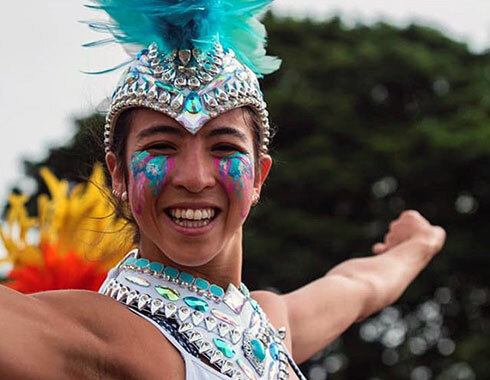 The event included African dancing and African drumming workshops, Indian dancing workshops fairground rides, an activity tent, live music, stalls, a range of food and culminated in a vibrant costume parade. 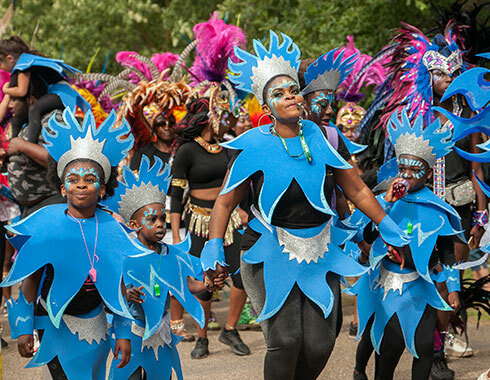 Sheffield Carnival was born from the hard work of a team of friends that got together to form a group ‘Supreme Origins’ in response to their memories of African Caribbean Fortnight, an event in Sheffield that ran from 1979 until 1994. African Caribbean Fortnight was set up by Leroy Wenham who came to Sheffield from Leeds and organised the 10 Caribbean themed events led by community groups to take place in the city. 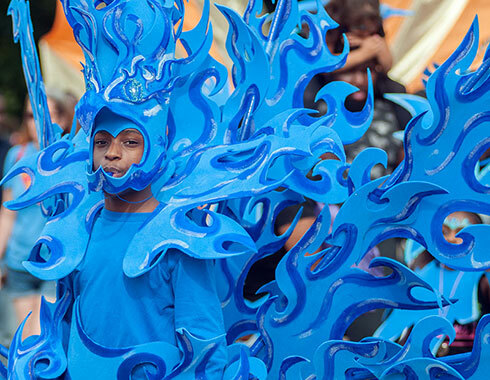 These events included Caribbean themed fashion shows, sporting events and a talent show and ended with the carnival. 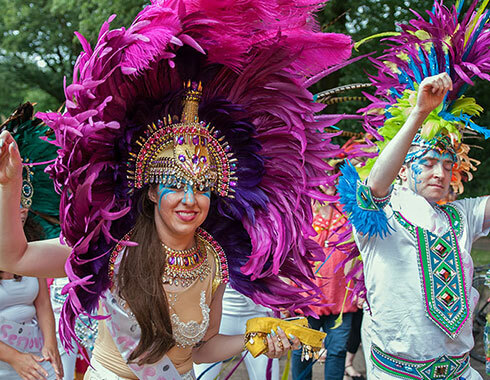 Due to lack of funding which was often financed by Leroy and other organisers who were passionate about celebrating and sharing their culture within the city, the event had not been held in the city for over two decades although similar events had been inspired by it such as the Abbeyfield Multicultural Festival. 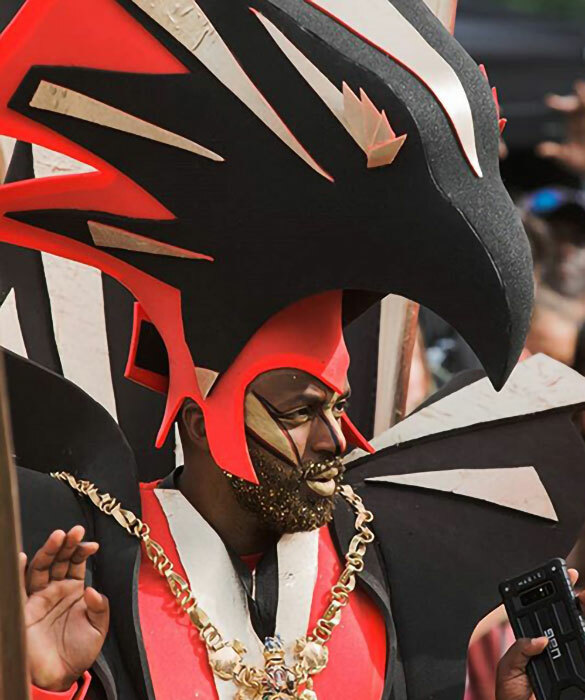 Andrew Martin, one of the Supreme Origins team members could be seen fully immersed into the carnival spirit dressed as The Phoenix and along with other participants was more than happy to greet the public and have them take photographs. 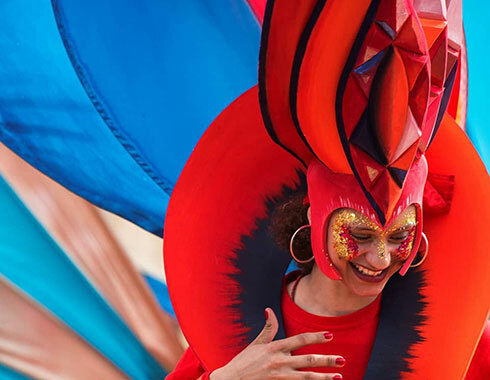 Supreme Origins’ motto is “Captivating the City” and this is what the event achieved accompanied once again with the sun shining down on what was a day in the city to remember.